THE Love Island host Caroline Flack and Andrew Brady have decided to end their whirlwind romance. 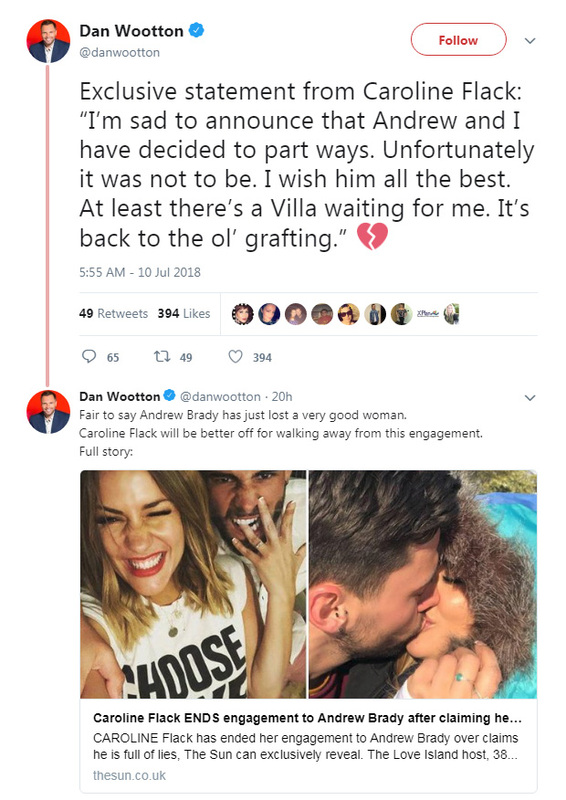 The couple announced their engagement after just three months of dating and yesterday Caroline confirmed that they had broken up through Dan Wootton’s Twitter page. Image taken from Dan Wootton’s Twitter feed.